This was back in 2016 when I went down to London for a launch meeting at the Royal Academy (RA). This was a great chance to meet with colleagues from other venues nationwide and see what ideas they had regarding the celebrations. I found that the RA staff were open to any ideas and were really supportive and encouraging. It was good to meet other curators who didn’t really have a solid plan and were still working on ideas (rather like me!). 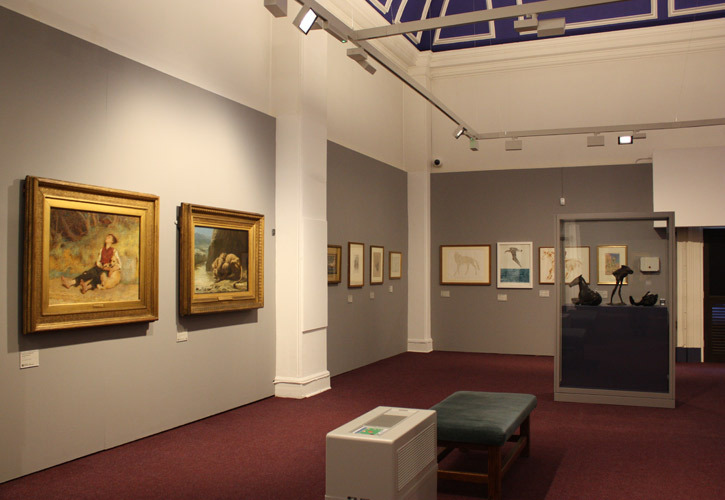 At Salford Museum and Art Gallery we have ambitions to use the collections in new ways and show more artwork from the stores, so we thought this would be a good opportunity to select works by Royal Academicians (RAs) from our collections. After my colleague did some research into what we held, I was surprised at the number of RAs in the collection and a lot were works I had not seen before. So we decided to hold an RA takeover across all of our galleries. The Langworthy Gallery would show works from our collections complemented by loans from other institutions. This would spread over to the Egerton Gallery at our sister site Ordsall Hall, and we would hold our first Open exhibition, inspired by the RA Summer Exhibition in our North and Bluestairs Galleries. RA works on permanent display in our Victorian Gallery and Pilkington’s Pottery Gallery would be highlighted. 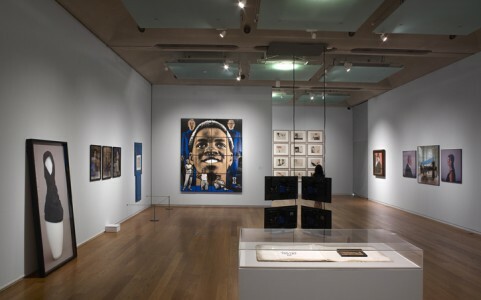 We also worked with The Lowry to create a whole Salford takeover, joining up with their RA exhibitions featuring L. S. Lowry RA and Chantal Joffe RA. 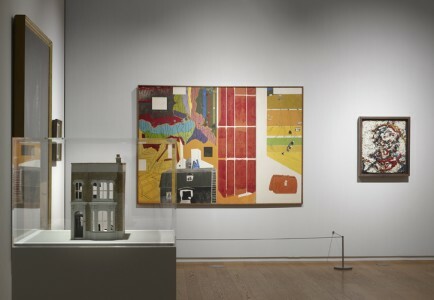 We decided to highlight some of the more well-known names to draw visitors in who may not realise we hold David Hockneys and Elizabeth Frinks in our collections, and use these as a way to show some of the lesser-known (but just as worthy) RAs. We then completed a very low tech exercise where we printed each image roughly to scale and started to put them together to see what would work and where there were gaps. This helped us to identify artists whose works we wanted to borrow to complement our artworks. Loans from other institutions can be a lengthy process. First of all, a case needs to be made as to why the work is an important part of the exhibition by way of a loan request. This is usually viewed by a committee which decides if the request can proceed. The work has to be condition checked and the loan agreement needs to be negotiated. It is usually up to the borrowing institution to organise and pay for all costs, which can include conservation, framing, cleaning, transport, insurance, couriers and many other things. So any loans are worked on at least one year in advance – in this case it was two years. It is also a good idea to have a back-up plan in case the work, for whatever reason, can not be loaned. The borrower’s venue also needs to meet certain environmental and security requirements. This caused a few issues for us as the gallery space wasn’t quite up to specification. Along with the other expenses, the project was turning out to be very costly – money which we just didn’t have. Luckily there were a few funding schemes open to us. This included the Weston Loan Fund with Art Fund, the Ready to Borrow Fund, and the Royal Academy with Art Fund. We were successful in covering some of the costs towards a new CCTV system, new gallery lighting, a new environmental monitoring system, professional art transport, insurance, equipment, conservation, catalogue and couriers. Part of the problem with our gallery was the humidity and temperature. As with most historic and listed buildings, although beautiful to work in, they do pose their issues! We were able to buy portable humidifiers to bring the humidity to a more stable condition and new lighting which allows us to dim the individual fittings, making the lux levels controllable for each work. 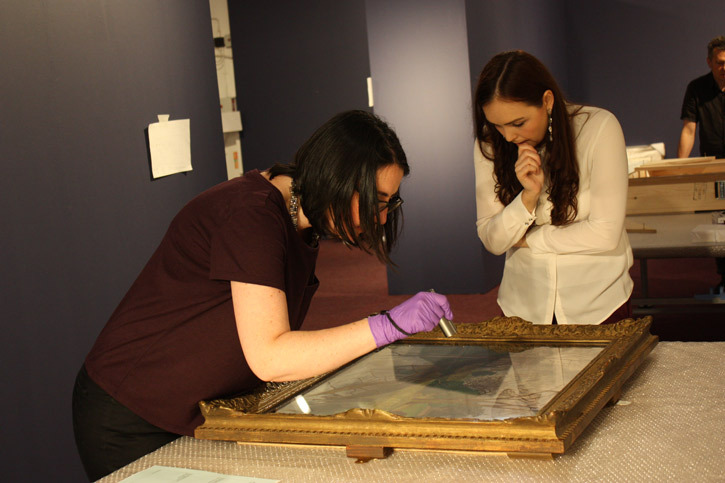 We also looked at costs involved in showing our paintings, such as conservation and framing. There was one work that we really wanted to include in the exhibition by Briton Riviere, but just could not find the money for the conservation in time. We are campaigning for money towards this as part of the RA exhibition. After the gallery conditions are up to spec and the loans are agreed, in this instance there were the logistics of how to get the loans here from four different institutions. 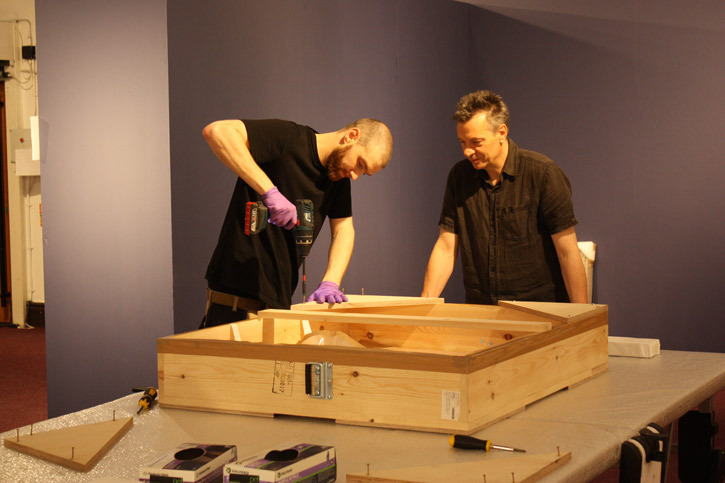 Each had their own couriers and conservators to check the conditions and supervise the install, and this all had to happen within the timeframe of the changeover and ready to open when advertised. Despite all this work, it is definitely worth doing as our visitors have loved the opportunity to experience works that they may not otherwise get the chance to see in the flesh. 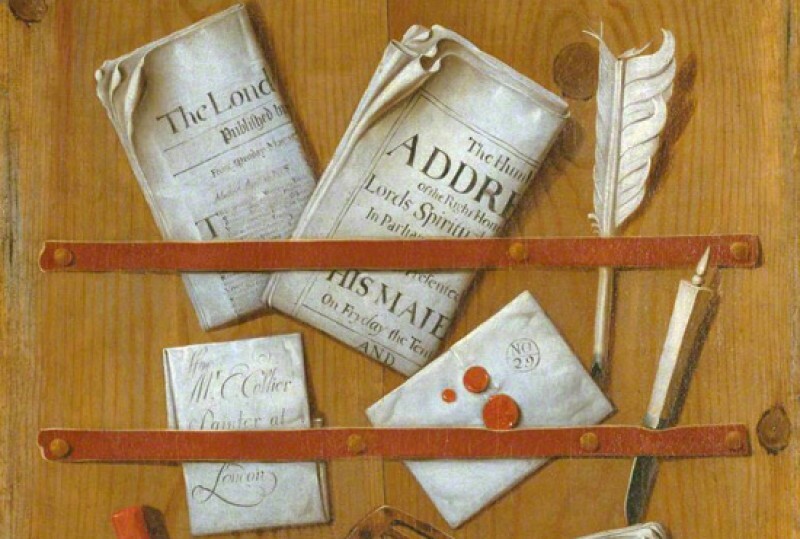 The works from our collections are beautifully complemented and really hold their own next to prestigious works from our lending institutions, which include the Royal Academy, Manchester Art Gallery, The Lowry and Salford University Art Collection. It has opened up new ways of looking at our works and further research into them, and has enabled us to share them with new audiences through an exciting events programme. All of this is helping to raise the profile of Salford, Salford Museum and Art Gallery and Ordsall Hall.